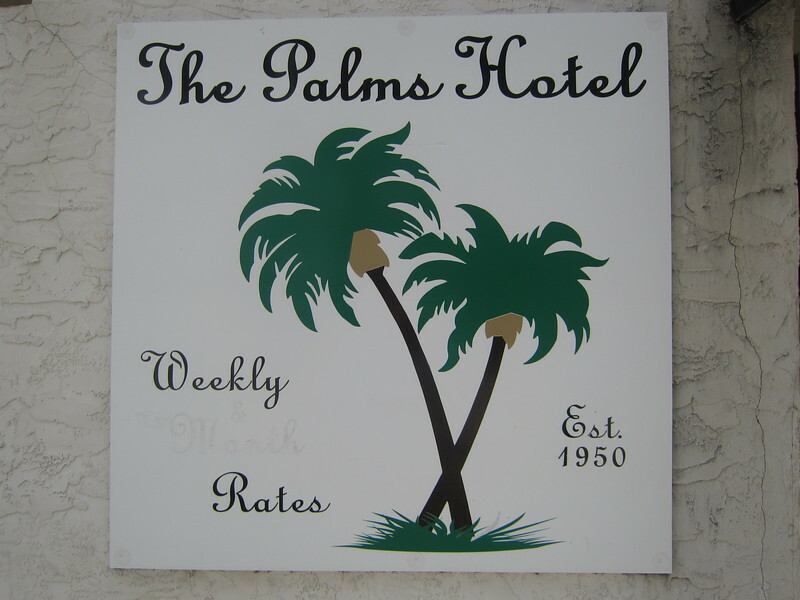 This article by Dr. Tim Gilmore of jaxpsychogeo.com highlights the history of downtown Jacksonville's Palms Hotel. The young man at the check-in desk is asking about the rules. He’s glad that each room has a lock on the door, and he likes the fact that he gets his own key. The housekeeper says bad things used to happen at The Palms, but management has gotten serious about security. Some tenants have stayed for months and even years, she says. A typed list of rules hangs on the wall with a warning that tenants will be charged $15 per broken rule. He can pay $10 up front for a visitor or he can pay the $15 fine. He says he’ll have to think about it. 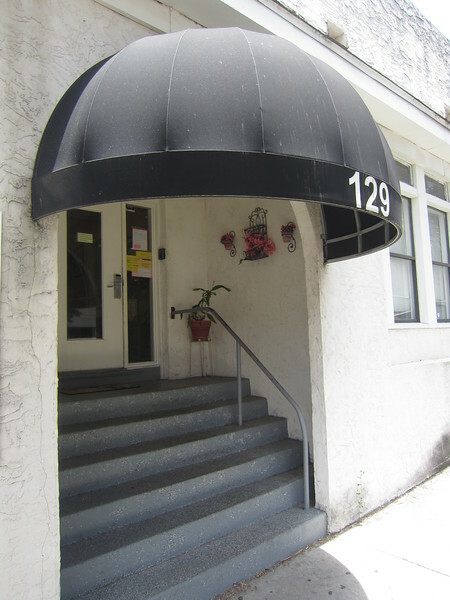 Though most of the people sitting on the porch or watching TV in the kitchen probably are, in fact, wearing underwear (whatever the rule is supposed to mean), the management’s list of rules, security lock system, and array of security cameras throughout the building do seem to have mitigated the violent crime and theft that have plagued this boarding house for decades. Variously called The Palms View Inn, The Palms Rooming House, and The Palms Hotel, the building was constructed in 1904 as the Ensminger Apartments. 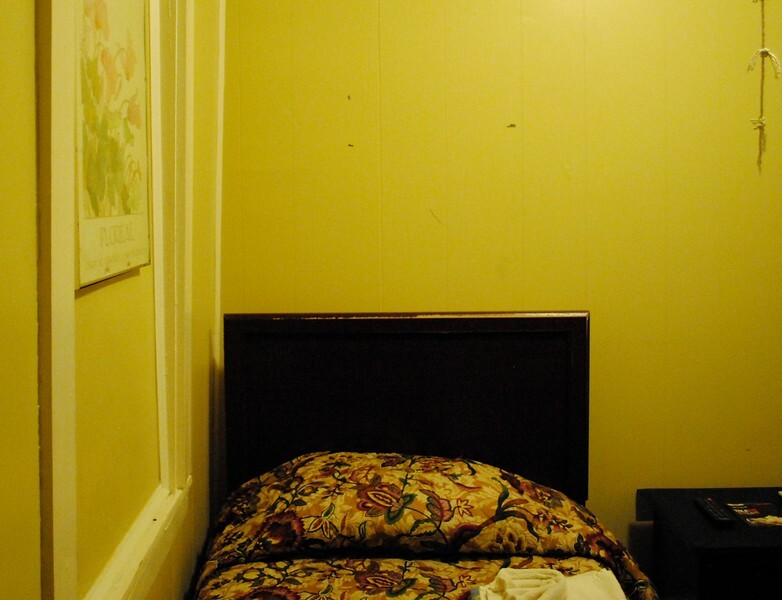 Its three stories of 37 rooms have seen their full share of the vicissitudes of human existence. The Ensminger featured six apartment suites, each with a front porch and latticed back porch. There were marble steps and wainscoting along the halls and stairs. Apartments were furnished with steam heat, both gas and electric light fixtures, and speaking tubes—long air pipes used to contact servants across long distances. The signs on the front and side of The Palms claim it was established in 1950, skipping its first four and half decades, while a 1930s’ shot by prolific Jacksonville photographer Jack Spottswood identifies the building as the Carlis Hotel. 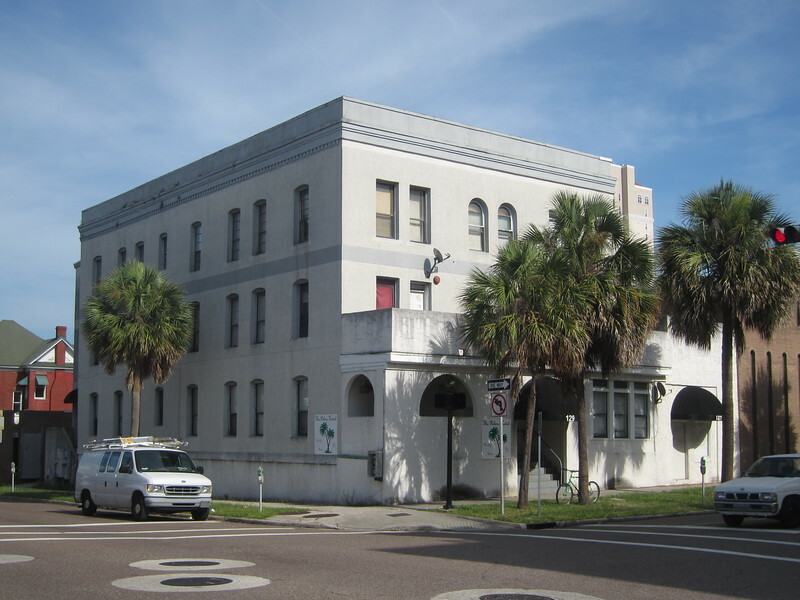 The shape and proportions, the numbers and distancing and height of windows, and the degrees of corbeling below the roofline remain the same, but the exterior brick walls of The Palms are now covered in whitewashed stucco and instead of three stories of porches over Market Street, only the ground level porch remains, heavily fortified in plastered arches.